The Winter Solstice has become a point in the year for me to reflect on my work and learning journey on this little blog. Before I switch off my laptop until January, here are a few musings. Grab a cuppa and enjoy! My work this year has had an almost exclusive focus on local heritage. 2018 marked the Centenary of the Armistice and the passing of the Representation of the People Act, so there has been plenty happening to mark both. 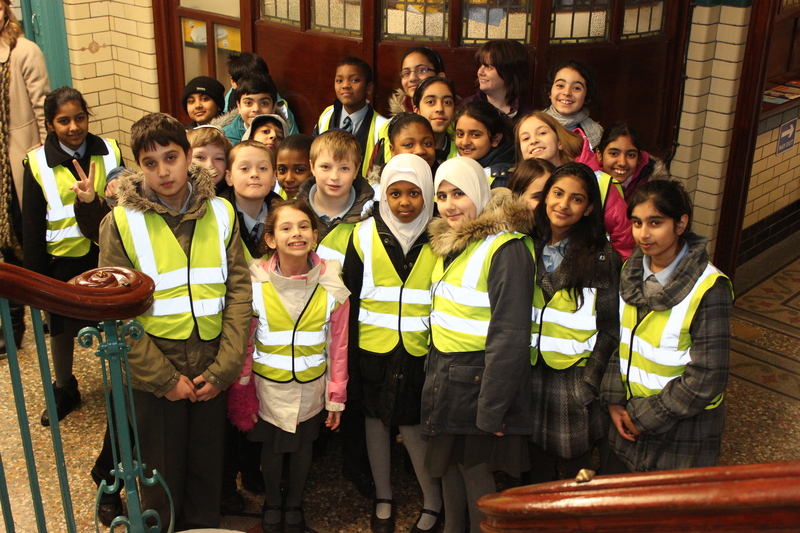 In February I was part of organising a commemorative event with the People’s Heritage Co-operative, The Active Wellbeing Society and Birmingham City Council. 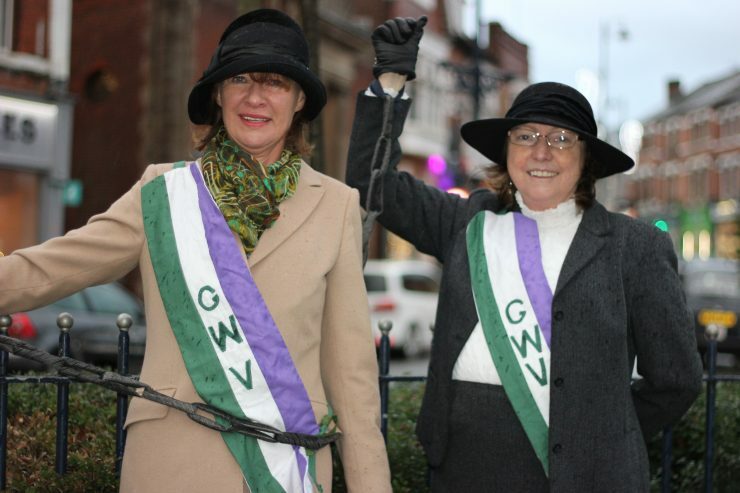 The 1918 legislation extended the franchise to thousands of working class men – and for the first time a significant proportion of women. I was invited to ask a question (effectively making a statement) to a full meeting of Birmingham City Council. The significance of standing in the Council Chamber only a stone’s throw away from where my Great Grandmother lived in 1918 wasn’t lost on me. 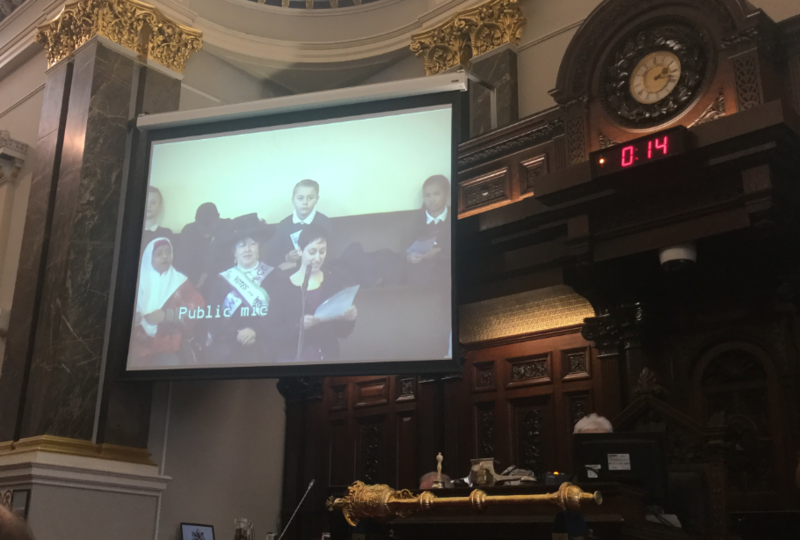 Speaking from the Gallery of the Council Chamber on 6th February 2018, 100 years since the passing of the Representation of the People Act. My Great Grandmother wasn’t able to vote in 1928. Like so many other working class women she wasn’t recognised as a citizen until 1928. She spent a significant part of her married life raising eight children in poor housing in Hockley. I’m adamant that we shouldn’t be too self-congratulatory as a society when it comes to social progress and so I’ve spent much of this year pulling together a project to ask what happened beyond 1918. ‘Represent’ has been granted £36,100 by the Heritage Lottery Fund and I’m very pleased to share that I will be working as the Project Manager over the next 18 months. We will be working to explore Birmingham’s politics in the period following WW1 and the passing of the Representation of the People Act. We’re focusing on activism in relation to women as activists and housing campaigns. I’m really privileged to be working alongside a fantastic team of researchers and historians and we’ll be recruiting new members of the team in the new year – if you are a designer, evaluator or artist then keep a lookout! You can read more over on the People’s Heritage Co-operative website where you can also sign up to our mailing list for occasional updates. We really don’t know what we will uncover in the archives at this stage, so it’s all very exciting! Other heritage projects this year have included some Project Co-ordination and delivery of creative workshops with people experiencing dementia for Living Memory; creating a film for Birmingham Friends of the Earth to mark their 40th Anniversary using archive images and oral histories; an ongoing memories project with elders for The Lichfield Festival and work with pupils at Paganel Primary School for Fields of Remembrance to examine how WW1 impacted on their neighbourhood. I’ve been continuing my learning journey this year through attending a variety of ArtsConnectWM events and courses, including ‘Preparing for Work in Formal Education’ and the always inspiring Digital Pick and Mix event. I’ve also been exploring Podcasting with an online MOOC, considering curation with Friction Arts, learning about the ‘StoryLab’ work happening at Birmingham Museum and Art Gallery and getting involved in a new heritage focused Research Cluster at Birmingham City University. A real highlight has been working with the absolutely wonderful team at Geese Theatre to bring creative film making into two different secure mental health hospitals. Geese marked their 30th Anniversary this year and the years of experience are really evident in their practice. I’ve learnt so much from Geese and from participants who have thrown themselves into projects. We’ve created some fantastic work which is now being enjoyed by participants and being used as a resource by staff throughout Elysium Healthcare. A screenshot from ‘Let the Light Show’, produced with Geese Theatre. In 2019 things will continue to take a dramatic turn with another film planned with Geese Theatre and some work with Big Brum Theatre. 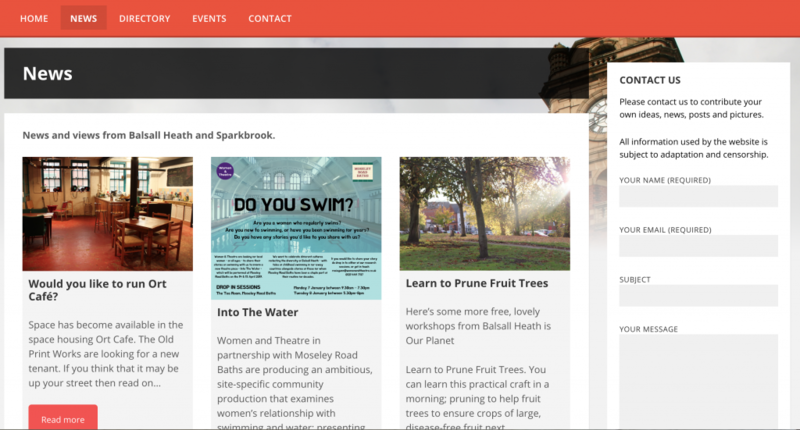 Over the past month I have been working in role as a ‘Community Knowledge Officer’ for Balsall Heath, helping Balsall Heath Forum to create an online directory and events listing site to be used as a community resource by local organisations and residents. I’ve been getting lost in WordPress plugins, themes and widgets (quite a nice place to be! ), but eventually it’s taking shape. I will be employed until April, liaising with local partners to develop the resource further. Do add any news, events or organisation details to the site if you have details to add – you can view the site at www.neighbourhoodnewsonline.com. I’ve ended the year on a real high. Last night I came together with my wonderful coworkers from The Transfer co-working space for a few pre-Christmas drinks. It’s a lovely community of people who support one another through the trials and tribulations of freelance work and remote working. The board of Trustees from the Old Print Works work so hard to make the space cosy and welcoming and I’m so grateful for the shared lunches and camaraderie. I wanted to end this post with an image from the ‘March of the Women’ event that I documented a few weeks ago. 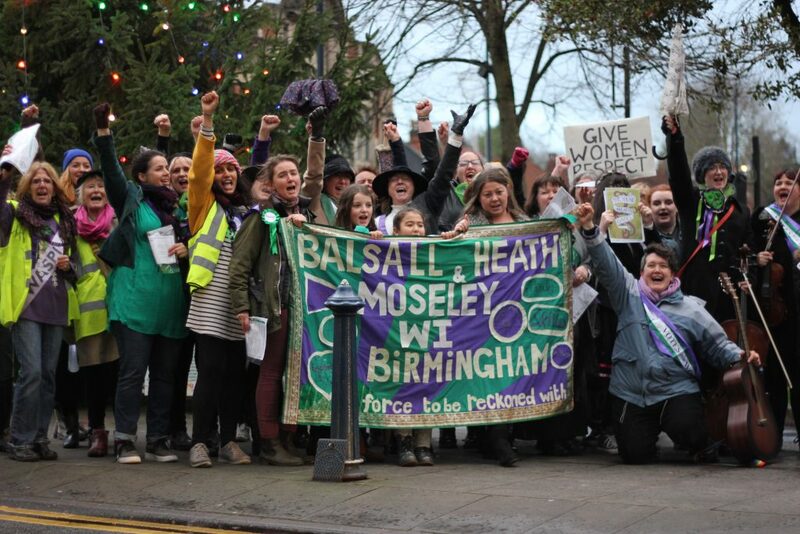 Balsall Heath and Moseley Women’s Institute wanted to mark the Centenary of the first women casting their votes in a General Election. They came together to sing a song written by a Suffragette alongside a series of songs written by the group and by women migrants. It was such an uplifting event and a reminder of the dynamism and optimism in my neighbourhood. When we lift one another up then fantastic things can happen. More of that in 2019 please – the world can’t get enough of it. The ‘Birmingham Friends of the Earth at 40’ project culminates this weekend with events to coincide with the annual Birmingham Heritage Week. 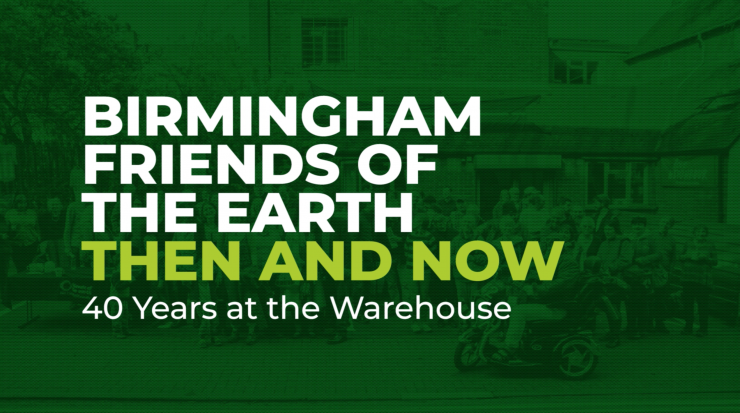 As part of the celebrations, I will be screening my film ‘Birmingham Friends of the Earth: Then and Now – 40 Years at the Warehouse’. 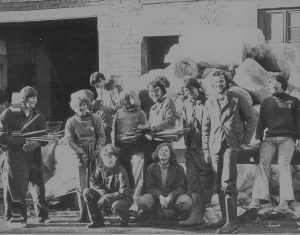 Birmingham Friends of the Earth will be giving tours on 15th and 16th September of the newly refurbished Warehouse building, which they took lease of way back in 1977. The building has seen many changes in that time, and it is apparent from our project that the walls hold many stories! Some of the first activists to take up residence at The Warehouse. You can delve into some of this history through coming along to view the film at 2:30pm on both days. The film has been created using archive photos, old campaign literature and volunteer led oral history interviews. 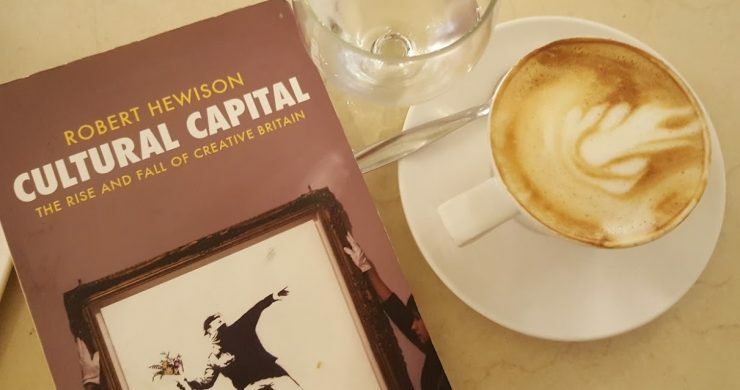 It gives a fascinating insight into the evolution of the building – from paper recycling depot to a space for campaigns groups to meet, a home for a myriad of small businesses and now a modern and slick meeting space for thinkers, makers and doers involved in environmental issues. As well as stories about BFoE’s work, there are also stories about the formation of Push Bikes cycling campaign and the Urban Wildlife Group, the forerunners of The Wildlife Trust for Birmingham and the Black Country. Alongside the screening will be the launch of a beautiful booklet, designed by Shannon Lattin, which has been produced as part of the project. It covers the story of the building from 1977 to the current day. It is packed with interviews, photos and information about the many different elements of the work conducted in the building. Do make sure that you grab a copy! For more information go to the Birmingham Heritage Week website. Planning, collaborating, telling stories. All the stuff that I love. Here’s a bit of an overview of what I’ve been up to so far this year. 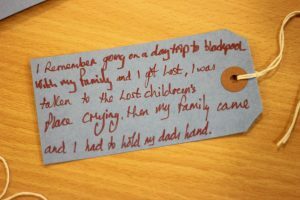 I have spent part of this year working part time as a Project Co-ordinator on ‘Living Memory’, a two-year Heritage Lottery supported project that records and celebrates photography collections and life stories from across the Black Country. It’s been an intense and rewarding role, delving into fascinating stories and stunning images from across the area, as well as making connections with community organisations and projects that I was completely unaware of before. The project will hardly scrape the surface of the rich narratives there are to uncover, but you can get a flavour of what we have been doing on the project website (where you can also sign up to get occasional updates into your inbox) or by following us on Instagram, Facebook or Twitter. A personal favourite story of mine is John Shrimpton’s – whose efforts contributed to the formation of the Sandwell Valley as a nature reserve and protected it from development. I’ve continued my longstanding relationship with the Lichfield Festival this year, developing their ‘Hear My Voice’ learning and participation programme, this time with elders across Walsall and Lichfield. 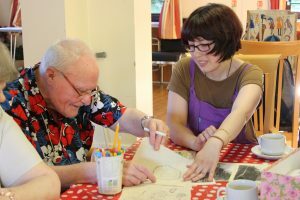 Textile Artist Liz Blades and I have been visiting Dementia Cafés, the weekly ‘Mind Matters’ session in Beechdale and drop ins for over 50s to develop our project on the theme of journeys. I have been taken aback by how open people have been about discussing their memories – often they touch on personal traumas and tragedies and frequently these experiences have not been shared so candidly before. Our task will now be to carry this work forward into the next phase. The textile patchwork quilt which illustrates some of these memories will be on display at the Lichfield Garrick Theatre over the course of the Festival. Meanwhile, work has continued on the Birmingham Friends of the Earth Heritage project. 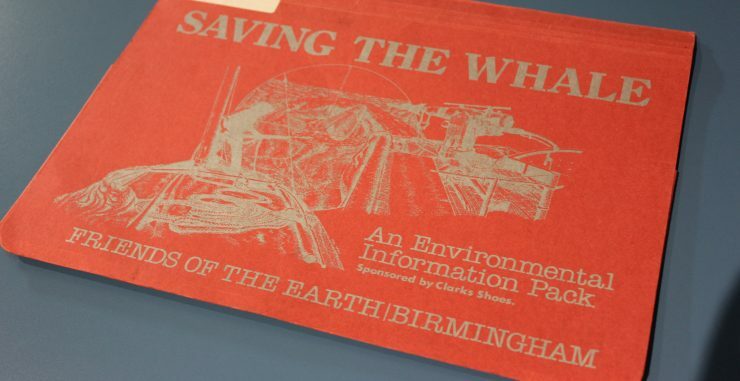 A group of volunteers have been scouring through the archives housed at the Library of Birmingham and have unearthed some fascinating stuff about the 40 year history of The Warehouse, BFoE’s home since 1977. 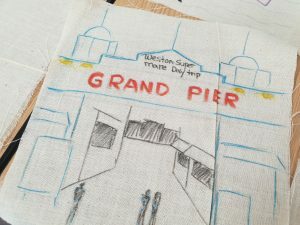 A few weeks ago I trained up a team of volunteers in a morning to conduct oral history interviews with people who have a connection to the building and to BFoE’s work. With 17 people to interview over the course of the afternoon it was a hectic day, but so many lovely anecdotes emerged and there was a really strong sense that these people were early pioneers and advocates of many of the actions that we see as positive and important today. I’m in the process of knitting these stories together. 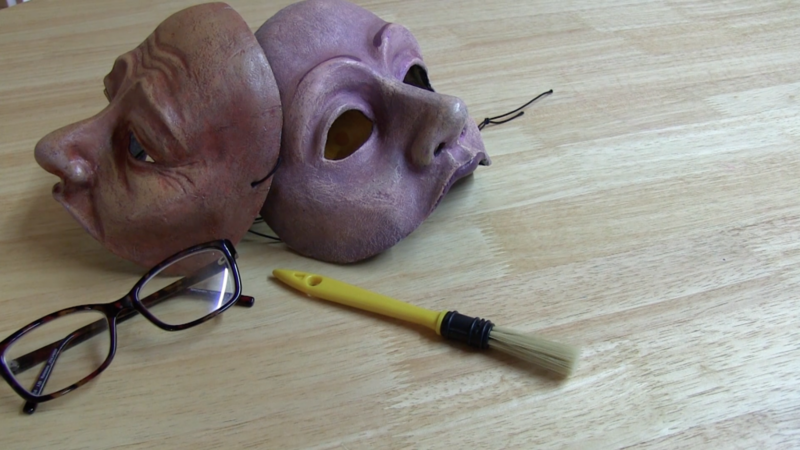 A short film and accompanying booklet will be ready for the Autumn. Behind the scenes I’m still plotting and planning other projects, including ongoing collaborations as part of the People’s Heritage Co-operative. 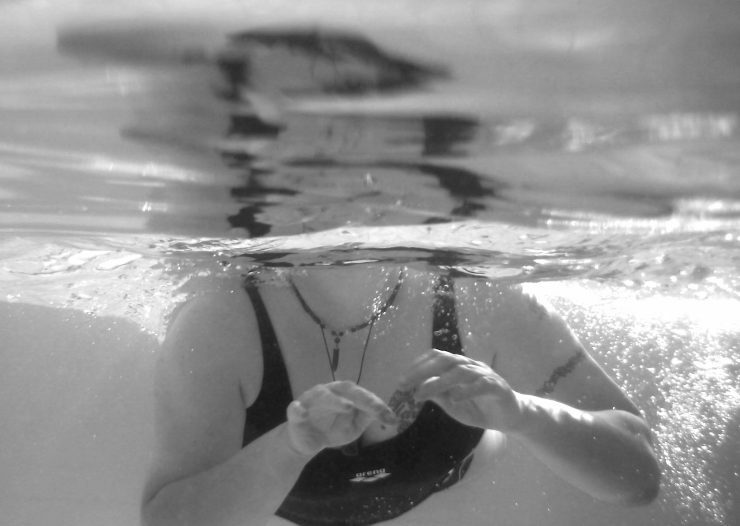 Next week I’m embarking on a new project making a film in a setting for women with mental health needs. I’m also going to be presenting Women’s History Birmingham‘s work to this year’s Community Archives and Heritage Group conference, which this year focuses on Conflict, Protest and Reconciliation. Intrigued by the pioneers of environmentalism in Brum? From the early days of environmental education, paper recycling, practical actions around sustainability and creative street actions, there is so much to explore and uncover through the Birmingham Friends of the Earth Heritage project that I’m currently involved with. We are currently recruiting volunteers who want to be involved in exploring organisation’s history. Volunteers are being given the opportunity to interview BFoE activists. This Thursday I will be running a fun workshop to teach some of the basics of oral history interviews. We will be using audio recorders and film to capture memories. Again, no experience is needed – just a curiosity and enthusiasm for exploring the topic! We are meeting on Thursday 23rd November, 2:00-4:40pm at Stirchley Baths. 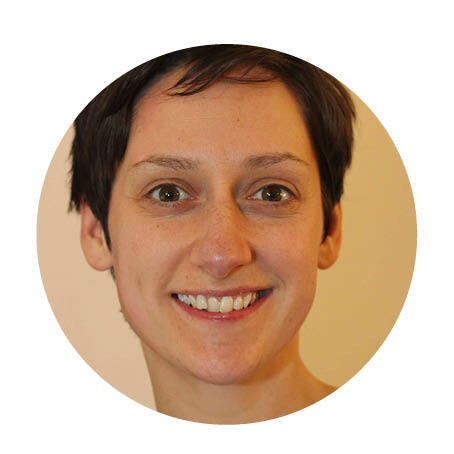 E-mail Liz Palmer at heritage@birminghamfoe.org.uk if you would like to get involved. No previous experience of archival research is needed – just your enthusiasm! Again, contact Liz Palmer if you would like to attend! So many times when I interview people I hear ‘I’m not sure if this is of any interest but….’. A lot of people, it seems, undervalue their contributions, or take for granted how important their experiences are for other people. These tend to be the most interesting interviews. They also mainly tend to be women. Just as well then, that local historians Nikki Thorpe, Nicola Gauld and Sian Roberts created ‘Women’s History Birmingham‘ to promote and raise awareness of women’s history in Birmingham, and in particular women’s contributions to shaping the social, cultural and political landscape of Birmingham. Subjects covered include the Women’s Liberation movement, policing, mental health, Fascist Spain, perceptions of single mothers, reproductive health, prostitution, sit-ins, and DIY culture to name just a handful of themes we’ve touched on! The HLF funded project was inspired by a small pamphlet, ‘Birmingham Women: Past and Present‘, produced by Professor Catherine Hall for the Feminist Review journal in the early 1980s. The pamphlet was the basis of a sponsored walk to raise funds for the journal, and featured information about key points of interest along the walk pertinent to prominent women in the city’s history. 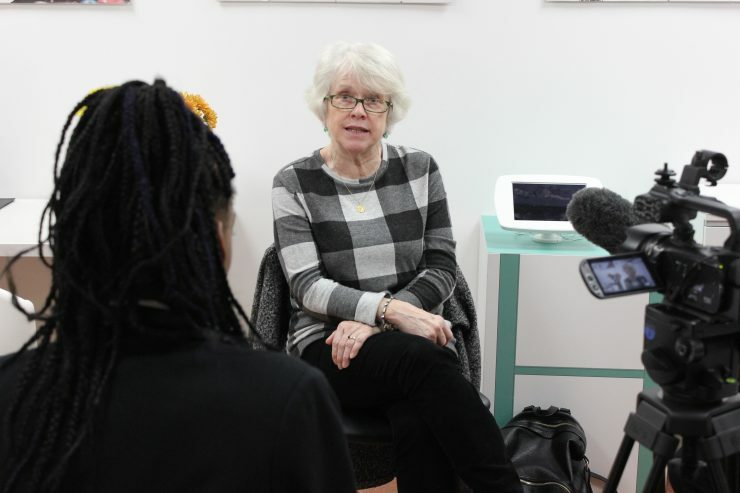 Over three decades later, this work is now being developed further through collecting testimonies of women who lived and worked in Birmingham during the 1970s and 1980s. These recorded memories are being added to online maps, to encourage people to undertake their own history walks. You can view the maps, discover a whole host of stories, design your own heritage walk and contribute information by viewing the map on the Women’s History Birmingham website. The edited films are also available to view over on my Vimeo page. I have facilitated workshops at Perry Beeches II and Waverley School focused on teaching pupils key film making skills and oral history interview techniques, before giving pupils free rein to interview women for the project. I have been completely taken aback by the maturity that pupils have shown for interviewees, and as a result, the honesty and frankness of those being interviewed. The films, which I have been editing together, create an important archive, filling a huge gap in our understanding of how the ideas, actions and attitudes of women in the past shape the world around us today. However, perhaps the greatest legacy of this project is in the changing attitudes of the young people involved in the project. This quote from a pupils at Perry Beeches II perhaps sums up the impact best. Thank you for sharing your stories and for making us aware and maybe helping us to see what we can do in the future. The youngsters were keen to listen to my journey, through my life in education and work especially my work with children experiencing mental health problems. Their curiosity and questioning gave me the opportunity to reflect on my own life achievements, as a black women working in the health service. The interview left me reflecting on my own life experiences and how important it is to share stories with the younger generation about some of my conflicts and challenges. It left me hoping that the conversations with us may give them a model of overcoming some of their own challenges that they may come across in their female lives. A few weeks ago we shared the project at the Women’s History Network Annual Conference and it was clear that there is a real appetite and enthusiasm for the project to develop further. We will be developing ideas in the near future, but do get in touch with your thoughts and ideas if this has got you interested! 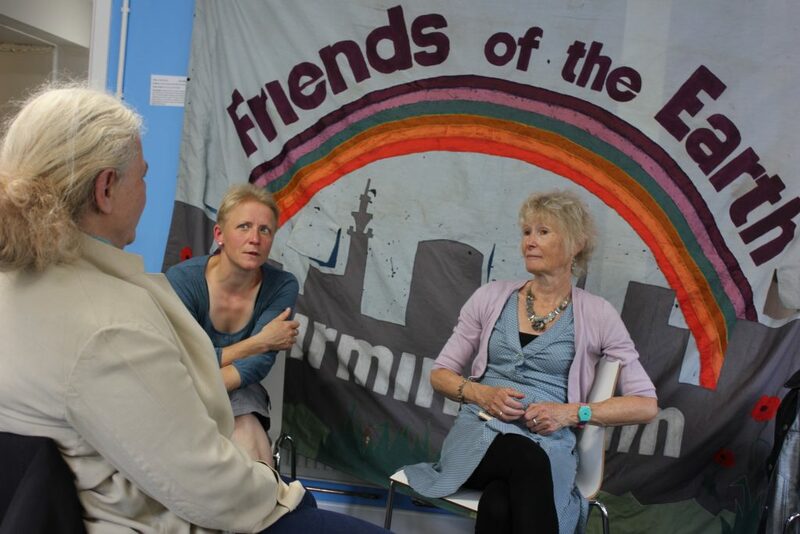 Birmingham Friends of the Earth​ are celebrating their 40th Anniversary this year. To help mark four decades of campaigns and action, I am working with local historian, Liz Palmer,​ on a Heritage Lottery Fund supported project. 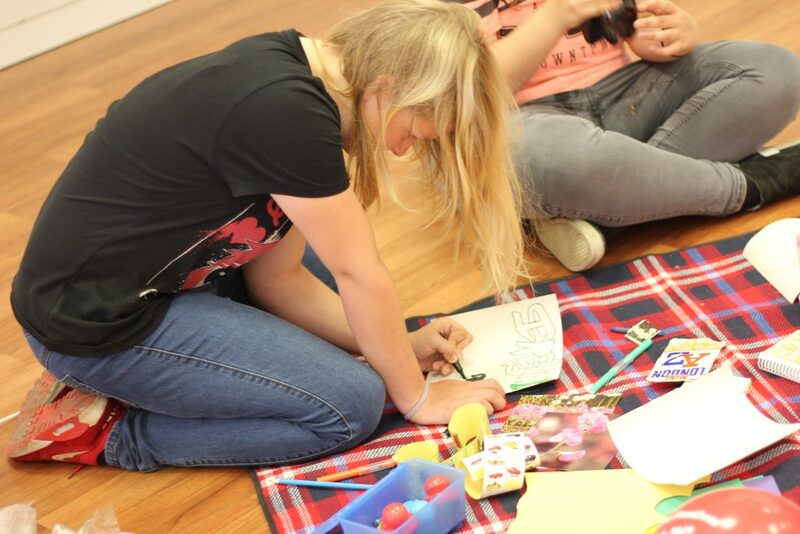 It will involve working with activists, past and present, to explore memories and archives. Back in April I attended the 40th Anniversary Party. The fact that it was so well attended (see above!) 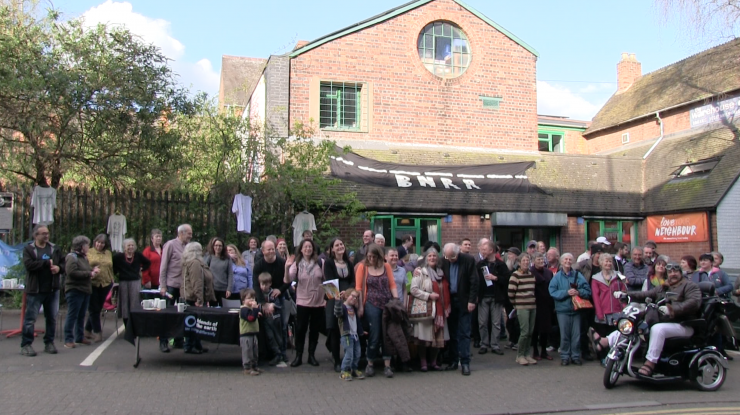 really shows what an important role Birmingham Friends of the Earth, and The Warehouse, have played in people’s lives. So much has been achieved, so many friendships formed and so much creative and committed work has been put into making positive and sustainable environmental change. If you want to get involved with delving into archives or recording oral histories, there is an informal meet-up next Tuesday, 8th August at 6pm at The Warehouse on Allison Street. Or, if you would like to be kept in the loop with news and events, you can subscribe to the project newsletter for occasional updates. Where are you from? Where have you been? Where are you going? These are all questions that I have been asking as part of a new commission for The Lichfield Festival. As part of the Festival’s focus on journeys, we wanted to explore Lichfield’s connections to the wider world – and what better way to do that then through a gargantuan map! 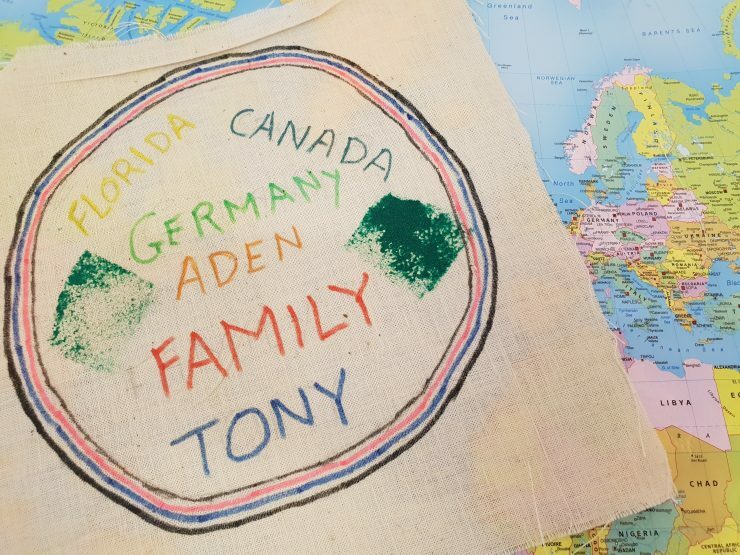 Last Saturday, on Day 2 of the Festival, I took up residency for the day in the Festival’s pop-up shop, armed with the said map, a wad of colourful stickers and a bag of craft materials. As well as a band of trusty Festival volunteers, I also had a Hare and Tortoise for company! Using the map, I invited members of the public to mark out where they were from, where they have lived or worked, and one place (only one!) where they would like to go. This sparked off some fantastic discussions, particularly between families. 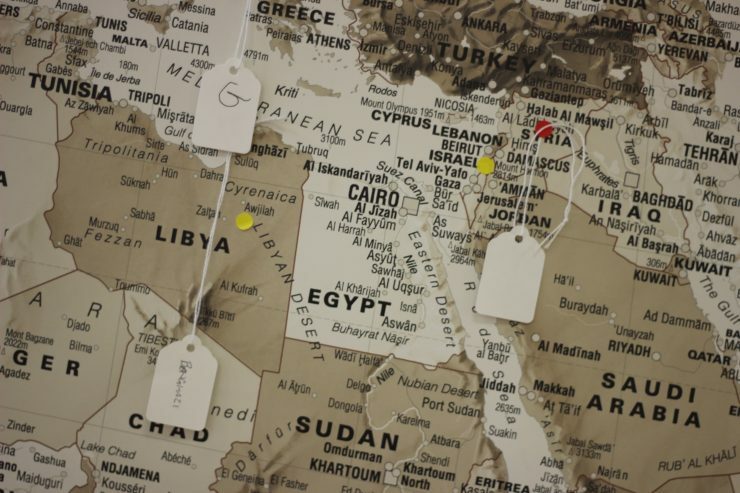 Kids planned out holidays, their parents pointed out some far flung places they had visited, some visitors revealed ‘other lives’ spent as children overseas. Alongside the map, we have been creating a ‘patchwork quilt’ of our collective journeys, ahead of Textile Artist Elizabeth Blades’ upcoming textile project (keep an eye on the Festival website or even better, join their mailing list for more details). 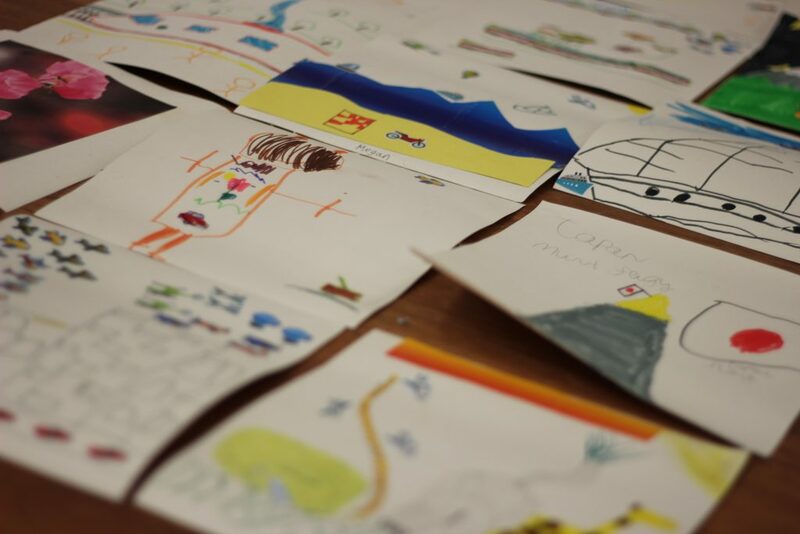 Using maps, stickers, crayons, pens and plenty of imagination, participants created their own ‘patch’, illustrating a journey which has been, or will be important to them. Some have been fantastical (flying cars and trips to the moon), some have been fond memories (childhood holidays on the beach) and others have been possibly the first stage in planning an adventure (Manga fans wanting to visit Japan and children excited about going on an African Safari). Come and view the quilt and the map so far and add your own journey this coming Saturday, 10-3pm at the Festival Shop, next door to Costa Coffee in Three Spires Shopping Centre. If you can’t make it, maybe add your own journey to the conversation using the #lichfieldtravels hashtag. Here is a quick timelapse that I put together of the day – if you were there, see if you can spot yourself!